This Maestri ME53 professional electric stapler/nailer fires 53 series fine wire staples 8-16mm and 18G brad nails 15-20mm. Capable of up to 25 shots per minute. Features on the Maestri ME53 include a high resistance fibre glass body, rear loading magazine with built in pusher, trigger safety device to prevent accidental firing & heavy duty carry/storage case. 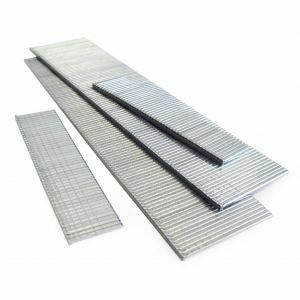 Ideal for upholstery, picture framing (stapling canvas/tapestry stretching), crafts & DIY etc. Supplied in a heavy duty carry/storage case with a 2 Year Maestri warranty.